Menopause can be a very confusing and emotional time in women’s lives. At Vivify Integrative Health, we are experts at helping you navigate this experience. Having been a board certified OB/GYN for over 25 years Dr Hagen has successfully assisted many women through this transition. Estrogen: which has over 400 functions in the body. DHEA: improves mood, immune function, energy, feelings of well-being as well as increasing muscle and bone mass. Vivify Integrative Health utilizes both lifestyle modifications and Bio-Identical Hormone Replacement Therapy (BHRT) to reduce the symptoms and health risks associated with hormone imbalances. BHRT hormones are as identical as possible on a molecular level to the natural hormones present in your body. BHRT is safe when administered by an experienced professional, and when prescribed in the correct form and dosage and closely monitored. Denise Watson, the health coach, has personally experienced the symptoms of menopause as well as the benefits of both natural and BHRT therapies. She will not only be assisting you in making the lifestyle changes needed to overcome the unwanted symptoms of menopause, but also the necessary shifts in perspective to not only survive, but thrive beyond menopause. Dr. Hagen will assess your baseline hormone levels and then restore your ideal hormone balance, allowing you to look and feel your best for a lifetime of health and vitality. 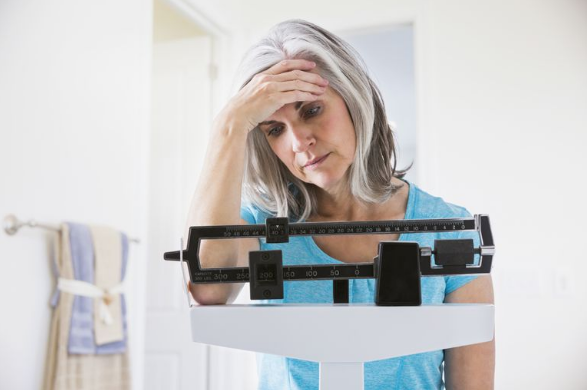 If you have been experiencing symptoms that may be connected with menopause and are looking for answers, schedule an appointment with Vivify Integrative Health today!